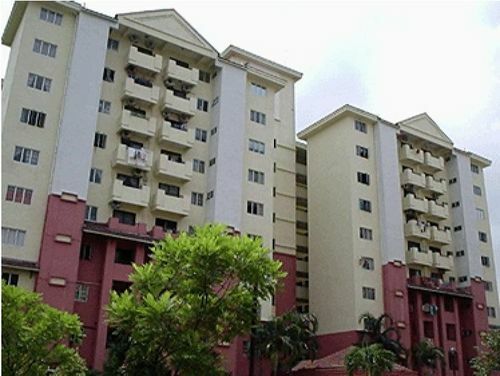 What are the safest apartments in JB now? When was Aloha built/completed? Is this a freehold development? Have the owners obtained their strata titles? Is the property management good? Any other similar properties good for investment? What’s the difference between condo, apt and serviced apt? Any impact in the returns? Would appreciate your valuable comments. Thanks a lot. Sorry that I don’t have much information of Aloha. But the management there is good. In Malayisa, major differences between condo, apt and serviced apt are the amendities and services provided by management of the property. All these factors will affect the demand directly and therefore the potential return. 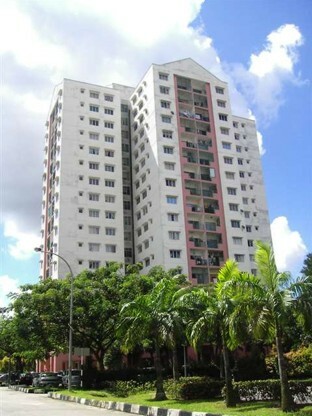 I am thinking of getting Sri Kurnia condo because of its size (about 1700sf) and location (T. Pelangi) for about RM260k. I have read your appraisal “worst of the best”. I know the surrounding area is really small but i heard there’s been new management since this year and the place looks more spruced up with a new coat of paint. I may move in there in 2/3 years time but in the meanwhile, i plan to rent it out. Do you think its a good investment? RM260k for a 1700sf condo is in fact quite a good buy looking at the supreme location of Sri Kurnia. I have not been there since last year and I don’t know if the condo has been upgraded or not. If the new management can manage the condo in a better way, it will definitely attract more tenants and buyers. 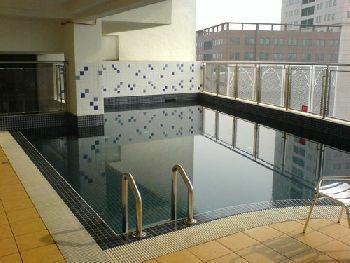 If you are able to rent the unit out for RM2000 and above, this should be a good investment. Do you have any details on The Habitat Condo ? Is it a good property to invest in ? What’s the rental like and how’s the management ? Would appreciate your insight ? Sorry that I am not familiar with the condo. Such a great website provide many useful info. Currently i’m working in singapore and next yr planning to buy a property in jb for own stay. Any good suggestion? My utmost concern is location and security. As i need to travel daily to singapore. Please give some info and how much budget should i prepare. Thanks in advance for your assistance. You can try to look for apartments around Tampoi area as the location is near to both causeway and 2nd link. However, avoid apartments with poor management which directly affects the security and quality of the neighbourhood. You can consider Kip Park and Pulai View. The former costs above RM160k for a 3-room unit but it’s quite crowded, while the latter costs above RM210k for the same size of unit due to its low density and better management. How can u get a 1700 sq feet Sri Kurnia for 260k! unless it is a lelong one.Pls let me know if u ‘ve this good lobang. i’m concern about safety surrounding the Wadihana. Any friend of u staying there. The unit at Sri kurnia is only 1,400+ sq feet and not 1,700 sq feet. Rental (fully furnished) is only around RM1,300- 1,500. I heard from a friend who has a unit there that the management is very poor. Decided against purchase for investment. I would recommend you to consider Larkin Residence due to its nearer location to causeway, good management and environment. 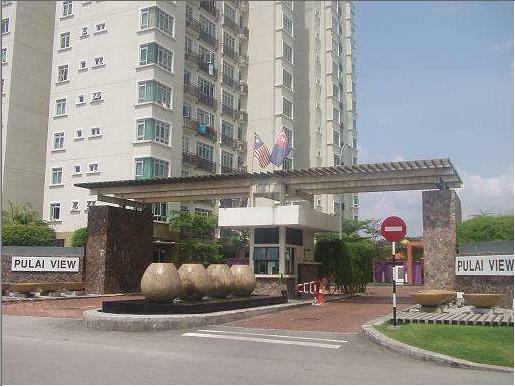 HELLO ONG, PLS ADVISE ON THE FOLLOWING PROPERTY : TOWNHOUSE AT NUSAVILLA, TAMAN NUSA BESTARI JAYA, SKUDAI, JB. AREA 1635 SQFT, PRICE RM 260K. HOW IS THE LOCATION AND IS IT GOOD FOR INVESTMENT ? THANKS FOR YOUR HELP. I have visited Nusavilla once early of this year. The environment and management there are considered good. Location wise Nusa Bestari is one of the fast growing new towns in JB. It sould be fine if you are buying it for your own stay. However, if you are considering it for rental income, RM260k seems a bit high unless it’s well furnished. Just came across your blog, very useful for singaporean. I have some questions and hope you can help me. My husband is a Malaysian and a singapore PR. I am a singaporean. we want to invest in Apt/Condo in Johor Bahru. Can you recommend some apts? We have a budget of abt 180K ringgit. What areas are good for investment?? How much can the bank loan us? Is the loan better to loan from singapore or malaysia? Sorry for asking so many questions..Thank you. Based on your budget, I would like to recommend you to look for 2 to 3-room apartments in Tampoi and Larkin, e.g. Kip Park, Bestari Impian, Suria Mas, Larkin Residence. If you don’t mind the location to be far away from causeway/second link, you may consider Prima Regency. Local banks normally can loan up to 90% of the property purchase price. I would suggest you to borrow from Malaysian banks as Singaporean dollar is getting stronger and stronger which means your interest cost may be getting higher (relatively) if you borrow in Singapore. Is Suria Mas Suite and Suria Mas the same? Well I see you have time to delete my post but not time to answer my initial question. Why does that not surprize me? Sorry Garry as I have lost track of your initial question posted in June. Anyway, I really don’t know which apartments in JB are now the safest. Any other reader who can enlighten us about this? thanks for information. i was told that nusavilla/nusa bestari is near to the 2nd link checkpoint to s’pore, is it true ? what about the rental demand there ? actually i plan to buy for investment / rental income but maybe in future for own stay. Hi there.. i owned a corner property in Nusavilla… type Sayan, Phase 1… approx 1300sq.ft. Can you contact me regarding the property you want to sell? Is your apartment sold yet? Please email me at paramsg@gmail.com. Thanks. So mush appreciate for your helping to solve our confusing. Here’s my enquiry….. Do you have any idea about PELITA INDAH CONDO? Do you think is good idea for invest? How much do you think is the reasonable price? 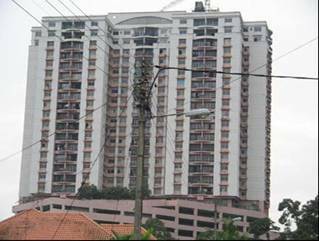 Do you have any ideas how much is the selling price for Prima Regency, 3 bedrooms apartment when they first lauch? If I am not wrong it was around RM140k-RM150k for lower level when they first launched. Readers please correct me if I am wrong. Trust you do not me answering Megan’s queries. Aloha was completed circa 1993. It’s freehold with individual strata title issued for each unit. It certainly is one of the better managed condo in JB, in a prime location in the proximity of Danga Bay, away from the hustle of the city and yet closeby. Some of the Johor royalties even stay there. What are the crucial flaws in structure, appliances and facilities that should be addressed when buying a house and how can these flaws be detected visually before one ends up buying a house that looks good on the outside but is a hazard (aka, roof, plumbing, aircon units, etc)? Also, what is the legal process? How much does it cost? How long does it take? 10 years ago property market in JB was still hot and at that time Wadihana was very new, that’s why the price could be so high. On the other hand, according to some property agents, most potential buyers feedback that they don’t like its entrance. I heard that the strata title was just issued recently. What is a reasonable price for a two room 750 sq ft apt? another question is, can a singaporean buy a property less the 350,000 ringgit? understand a levy of 10,000 riggit is required for foreigner buying. also understand from 1 jan 2010, a capital gains tax wud be implemented. Sri Samudra is one of the quality condos in JB. You may check with property agents for its details. The RM10k levy is applicable to foreigners who are buying a property less than RM250k in Malaysia. Yes, the government is implementing back the property gain tax. May I have your opinion about Pulai View apartment that asking for RM270k? Is it worth it? How is their management? I’m currently looking for apartment/condo around JB area that convenient for me to travel to singapore everyday. Thanks. Pulai View is one of my favourite apartments. Good location and management. The only drawback is the interior. If the unit is well and fully furnished and located at high floor, RM270k is a fair price since such an unit can fetch up to RM2.5k monthly rent. Since Pulai View is one of your favourite, I am sure you own at least one unit there. 😉 I am looking into this apartment too. But am not very sure if it is easy to rent out the unit there, i.e. if the demand for rental market is high. And, if the demand is sustainable in the long run. Hope to hear your view on this, and your experience with the tenants there. Thanks. 1. Though it is good yield, 2K-2.5K is rather high. Is it easy to find a tenant? Especially so when the rental at Danga View or Larkin Residence are cheaper and location is nearer to the town and causeway? 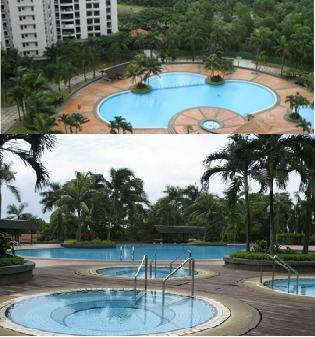 Why would tenant choose Pulai View over other similar apartments/condos nearby? 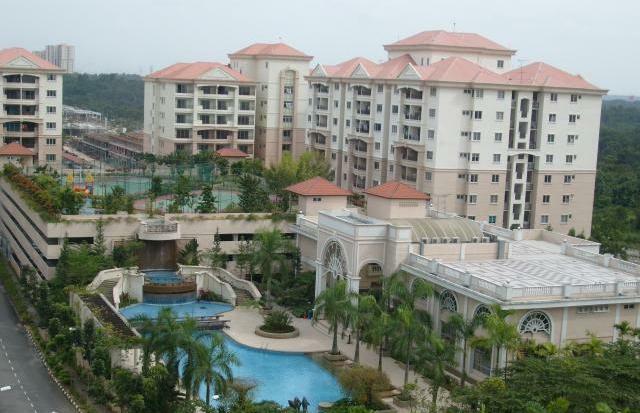 2 Can the high rent in Pulai View substain in the long run? I am in from Canada to view some properties. Please contact me through email and I will pass you my phone number. I am in Sg. now and be coming to JB Wednesday. My HP is 06590988056.
i am a beginner in investment of real estate. i would like to diversify my investment portfolio to property (JB area). In 2009, i intensively involve in stock market investment and next year 2010 i plan to involve in property investment in which more stable, lower risk..
i prefer area around Tebrau, skudai, JB city or nusajaya.. Thanks for your valuable info. Happy New Year 2010….. I am planning to buy a property in Indah Samudra condo ,They are asking 350K , I am not sure if its worth the investment ,since i saw few cracks inside the house which a bit scares me . Is that condo safe to buy and worth the investment . hi, bukit indah has a soft launch for their serviced apartment, The Sky. The selling price is above 280K for 2 bedrooms. What do you think? Will this be the good investment? eh ray..why unable to find any info on “The Sky”..is it by setiahomes?.. there’s talk recently that s’poreans can purchase units which are only Rm$500k and above from 2010 onwards. Is there any truth in this or is this just a ploy by developers to push sales and create an artificial ‘rush’ to purchase properties?? if you re looking for condos around , i would recommend abdul samad, jalan tengku petri , jalan kolam air or jalan mariamah area where all the luxury condos are located. good thing is this area is quiet and access to most areas are just within minutes with no traffic jams. the residents of this area are mostly prominent peoples like businessman and high ranking officials.very relaxing and strategic location to stay. 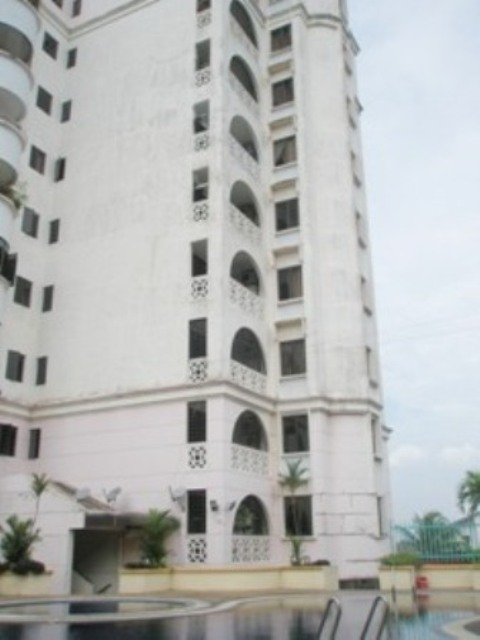 you all might check out on vista heights condominium which the management are presently giving a facelift to it. spacious area 2100 sf in prime location. Hi! Currently i’m looking for double storey units with guarded gate at Bukit Indah. Pls recommend. Thanks! 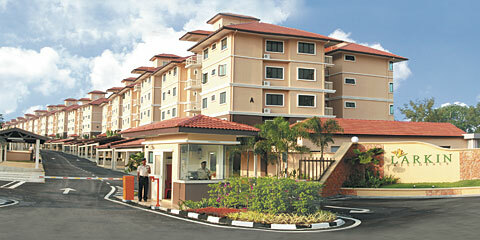 Near the skudai road, there got a apartment called Kip Park apartment. May I know regarding the apartment isn’t a good location for investment? How much the apartment there? the apartment can rental out how much per month? Kindly provide me some information. have anyone know the apartment call m’tiara @ jalan kebun te?h still under construction. Can anyone give me some comment about that apartment. Can I buy for investment? I am considering buy a unit at embassy suites apt at jb . it is a good buy? U can’t find any infor for this project from website as it is not officially launch yet. The sales office currently is doing soft launching now…U may drop by Bukit Indah sales office for more details. For your infor, the selling price is very steep. The take up rate for THE SKY SERVICED Apartment @Bukit Indah was fast for good facing units. My understanding was most of the 2 and 3 BR facing the bay view were taken up. If talking about condo around RM500K, I would suggest you may take a look at Straits View Condo, the facilities are well maintained and it is known as one of the best condo in JB. I heard the rental yield is also quite high there. Could you please kindly provide some inputs on Sri Samudera (280k for 780sqf) and Danga View? I am currently working in Sg and would like to get a condos in JB and commute everyday. However don’t find the area in Sri Samudera very appealing. Would appreciate if u can comment. I went to Bt Indah to view Key, I believe the location is very convenient, it’s near Tesco, Jusco and Giant. The facility is also good with 50m swimming pool and gym, tennis court. The 2 BR (1000sqrt+) is 260K up depending on floor level, I m not sure if the price is considered too high given the good location and facility in JB. How can i speak to an agent incharge regarding a tenancy contract agreement for one of the unit in Larkin Utama Condominium in JB? Can someone pls reply. Thank u. The forum you given seems this project is not attractive, at least not for Johorean. I went to the sales office last week and surprisingly, most of the 2 rooms units have been sold. The leftover are 1 room and 3 rooms type, which the pricing is not attractive at all. I was told some of the units were taken up by Singaporean. If you think this project is affordable for you, don’t hesitate anymore! quickly go and grap one unit bcos as I said the no many units available now! Well I was there and it seems that Realtors are very unreliable. I contacted5 all saying they would meet me. After the second visit to JB and no one showing up I no longer tryed. Is this the best you can do? I am interested in Danga Bay view apartment, which I can possibly purchase for RM250k (2nd hand). I went to the danga walkway the other day, noticed there is a lot of developments there, beautiful area now as compared to 3 years ago. May I have your kind advise, with that kind of prices, do you think Danga Bay view apt worth buying? Hi everyoneI am looking for apartment in JB as I think JB has one of most beautiful area around the coastal, especially now, with the development of Danga bay.Anyone can advise me, is danga view apt which are priced at RM250k (standard unit 1038 sqft) is worth buying ? positive cashflow is my target. Anyone knows about Danga view, appreciate to let me know. Is danga bay a well maintained and managed? Is Danga view freehold apt? 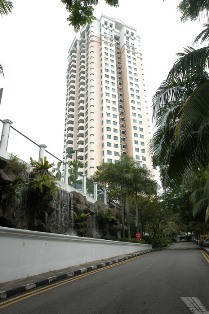 Are you planning to do a Best and Worst Condominiums 2010? Have any improved over the years, eg. maintanence, security, upkeep? As i know Danga Bay is leasehold property and this is the limitation for this property. As you know JB has plenty of empty land and you need to be more skeptical for leasehold property. The rental there is about RM1,200 to RM1,600 and therefore the cashflows may not be attractive.